Down Fuzhou Lu way, just off the Bund is one of Shanghai's hidden shoe treasures, and believe me when I say there aren't many. Unless your taste runs to vinyl flip-flops, that is. If you're interested in having hand-made shoes, you could read about Will's hand-made shoes, but if you need an off-the-shelf instant purchase then Suzhou Cobblers is the place. 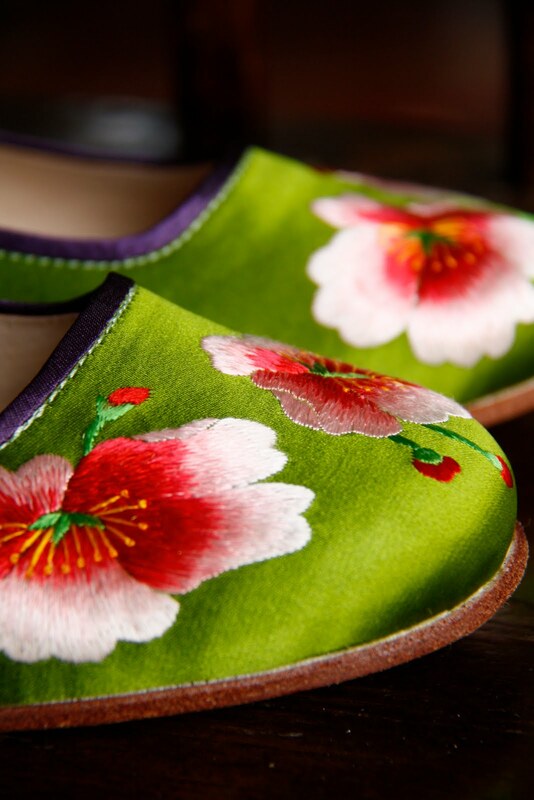 Their shop is like an exquisite jewel box filled with rainbow coloured silk slippers, hand-embroidered in Suzhou style (Suzhou, not far from Shanghai, was once the centre of China's silk industry). 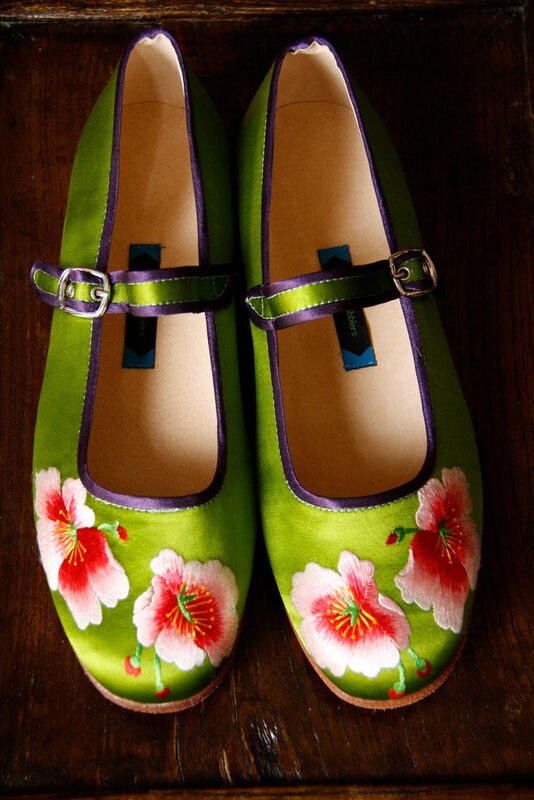 I love this chartreuse pair with peonies, but they also do gold fish, chinese vegetables, birds and lucky numbers. Find them at 17 Fuzhou Lu, 10am to 6.30pm every day.